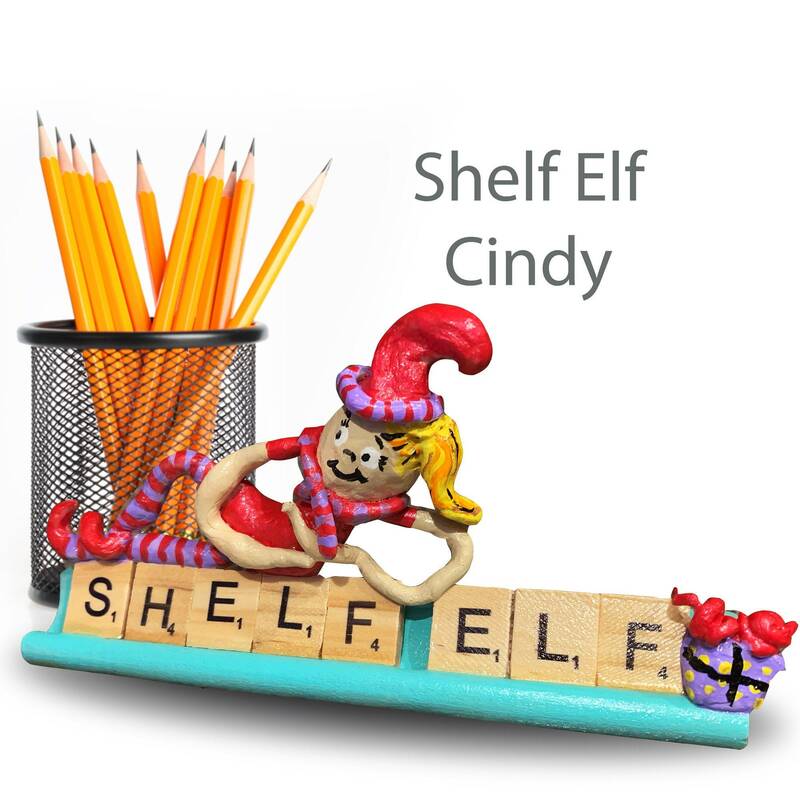 Cindy the Scrabble Shelf Elf is such a colorful character that she makes any room she is in a happy place. 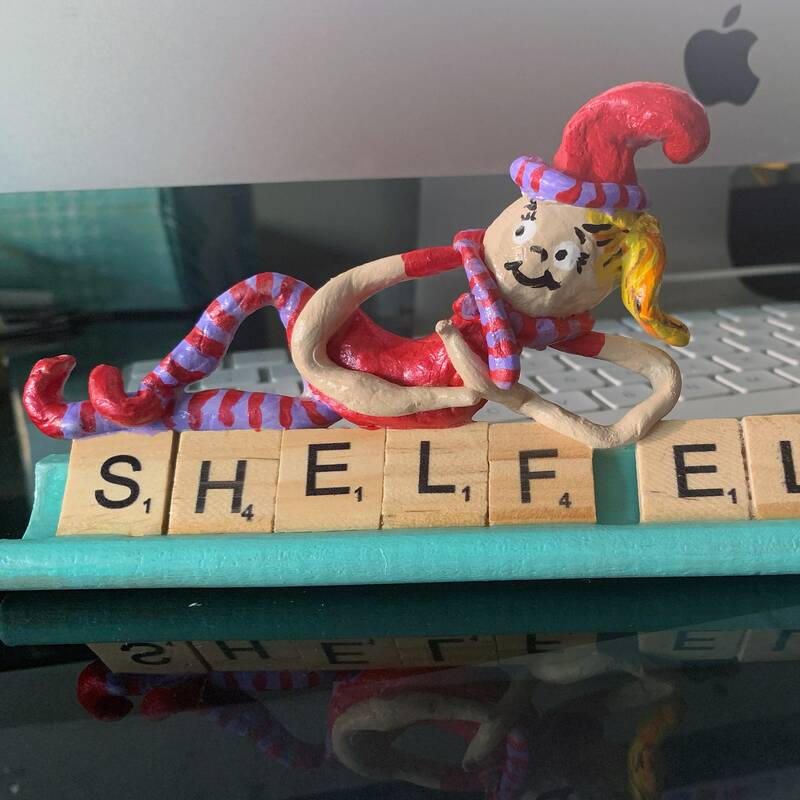 Cindy is ready to jump into the mailman's arms to come to your home. 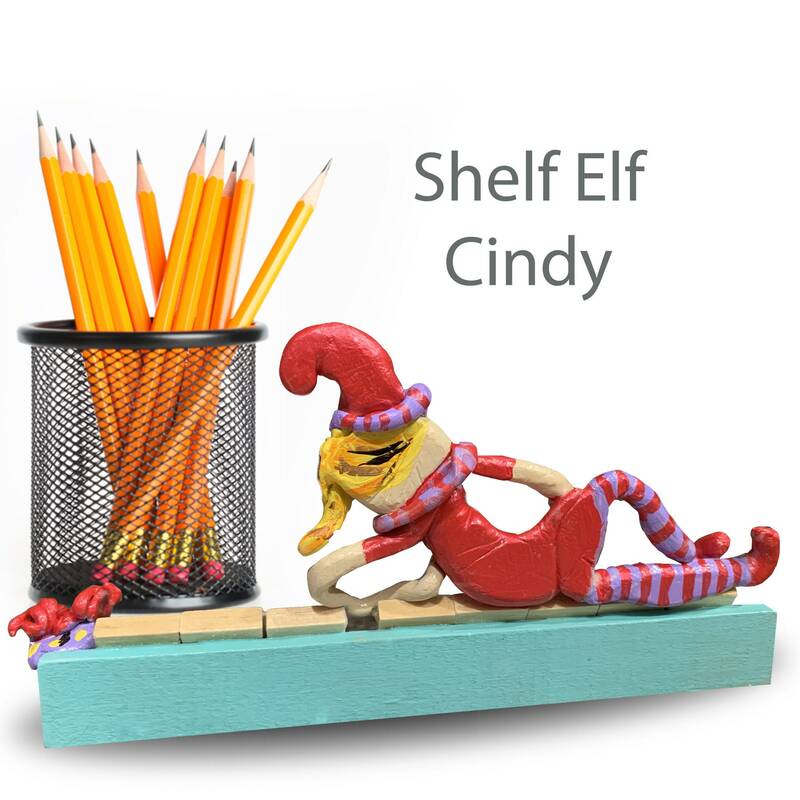 Please adopt Cindy and bring her colorful personality into your family today.